Easy and secure file sharing for your business, straight from your Outlook email or secure web portal. 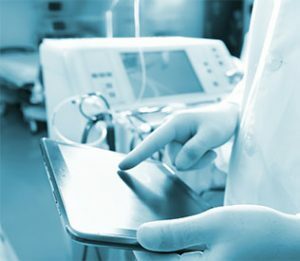 To put more controls and workflow approvals in place to proactively mitigate risks of a data breach. Robust reporting that can easily pass a data protection audit around file sharing/data transfer activities. Data has become one of the most valuable assets of organisations today, spanning the majority of industry sectors. With the significant increase in cyber security threats and data breaches, businesses need the right technical solutions more than ever enabling them to regain visibility and control over their data, where it is stored, where it goes and who has access to it. 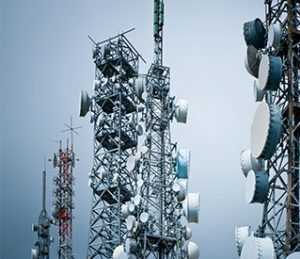 The Wizuda CFS solution is designed with security and privacy at its core and undergoes penetration testing with BSI for each product version release. Each business will have its own specific reasons for choosing a secure file sharing solution. However, many of the business problems underpinning the business case for a solution are common across all sectors. Click on our video, or see below for some examples and how the Wizuda CFS solution addresses them. The Wizuda CFS solution provides a central platform that can be hosted on-premise, and the data is therefore stored on your internal network. There is also the ability to host on private cloud, including Microsoft Azure, and you can specify that the data is stored in Europe North for example, where the data centre resides in Dublin. 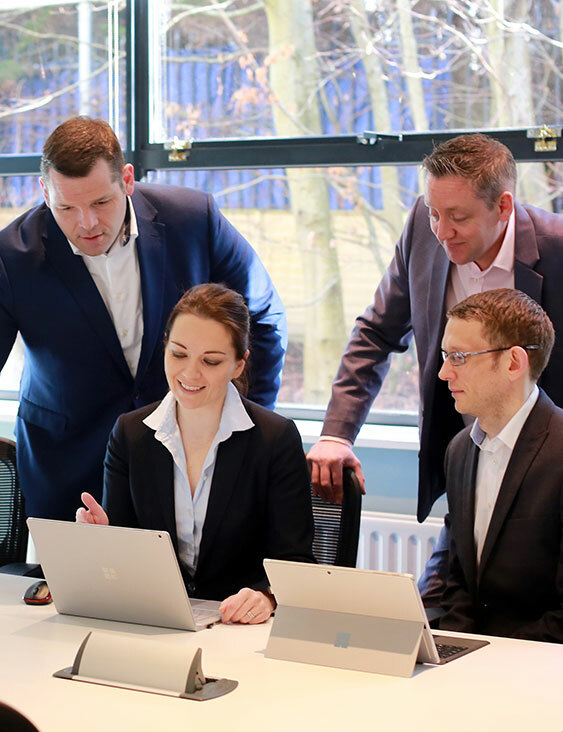 Wizuda also offer a hosted solution in their Microsoft Azure Cloud environment. Your clients and partners can safely upload files to a secure online portal easily and at no cost to themselves. You can control who sends you data and what type of files you wish to receive; e.g. not allowing .exe files thereby reducing your risk of receiving ransomware. Data retention schedules are easily implemented by admins and authorised users. 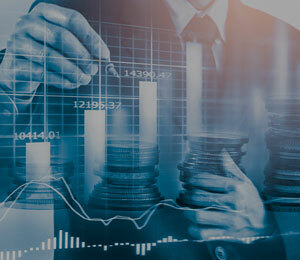 Data is then automatically culled once it reaches the specified timeframes, thus eliminating any superfluous data storage costs and ensuring data is retained in line with your company’s overarching data storage retention policy. Unlike email, Wizuda CFS has no file size restrictions by default, so users can send and receive any sized files internally and externally. Extensive control options allow authorised users to define file size restrictions as required. Wizuda’s CFS solution is built with compliance by design, which at the core translates to being able to demonstrate proof of compliance. Evidence based reporting provides instant visibility over all file sharing operations, including when files were sent, by whom, the sensitivity level, authorisation flows, retention periods, location data was accessed from, and when the recipients read or downloaded the files. The latter is particularly important for time sensitive delivery of documents, and especially for compliance reporting. 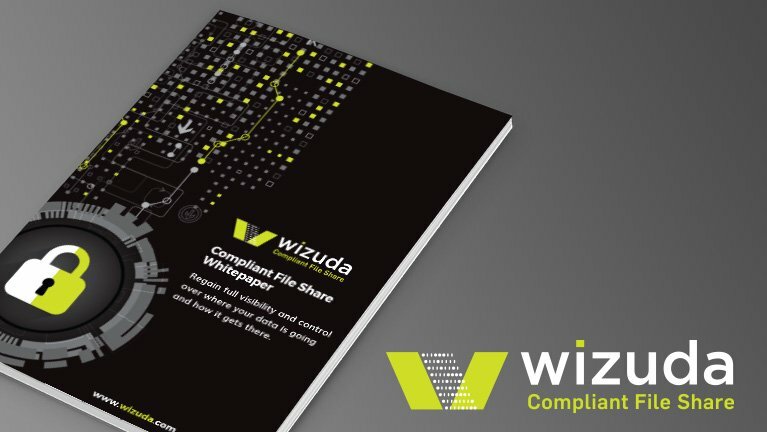 Wizuda’s Compliant File Share (CFS) solution provides a secure way for users to share personally or commercially sensitive data, both within their organisation and externally with third parties. CFS replaces sending such data over email, which is inherently insecure, and removes the need to transfer large files using methods such as USB, WeTransfer and Dropbox. 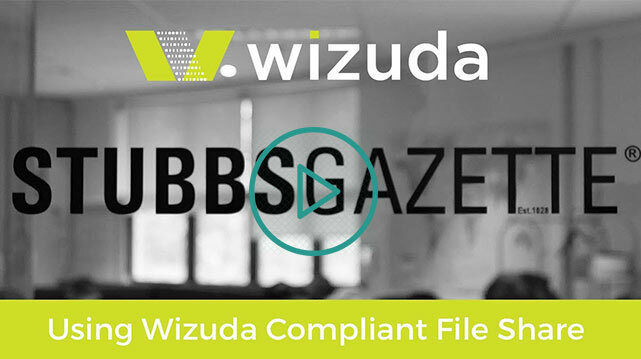 The Wizuda CFS solution offers secure file sharing straight from your Outlook email or secure web portal, plus the addition of features specifically designed to meet the GDPR compliance requirements. Unlike standard email, Wizuda users can send and receive unlimited sized files to internal and external parties. 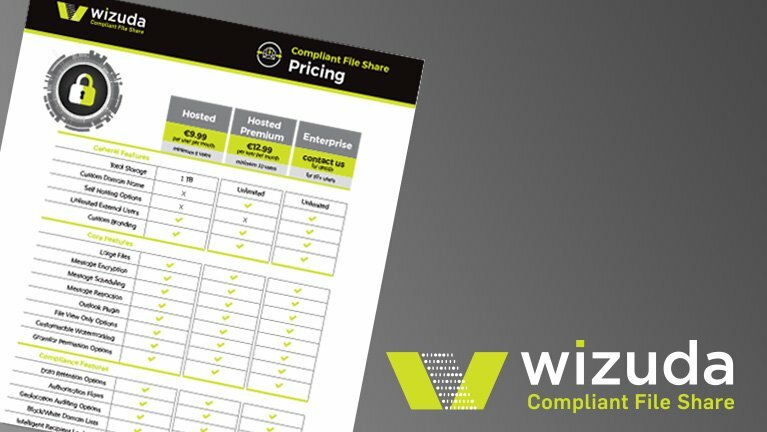 Encourage your customers to share files compliantly through Wizuda CFS without incurring any additional cost. There is no limitation on the number of external users. Wizuda’s intuitive user-friendly messaging interface requires no specialist user training. If you can send an email, you will be able to use Wizuda Compliant File Share. All messages are automatically encrypted both in transit and at rest. Scheduling options allow messages to be sent at a future date and time of your choosing. 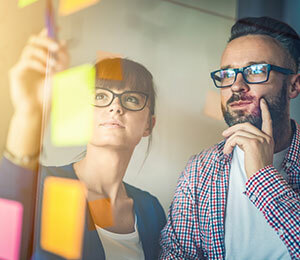 The Wizuda platform can be fully reskinned to reflect an organisation’s corporate branding, enabling Wizuda users to demonstrate their organisation’s compliance credentials to clients and partners. The Microsoft Outlook plugin option creates efficiencies in letting you send messages, and upload files through Wizuda CFS without having to login through the portal. Admin options can be set to enforce messages and attachments of a particular criteria, to automatically get routed via Wizuda CFS, even when the Outlook send button is selected by the end user. Choose whether to restrict access to view only, apply customisable watermarks, or give full download capability. Options to control who you receive data from, what file types, and what file size limitations you wish to set. Specific domains can be whitelisted or blacklisted to further control where users can send data to. Wizuda Compliant File Share can be adapted to suit several preferred hosting models, i.e. on premise, private cloud, or public cloud. Wizuda Compliant File Share facilitates the creation of authorisation flows according to an organisation’s specific requirements. Simple customisable impact assessment tick boxes give users the ability to request extra approvals based on the determined risk level. Authorisation flows can be set at an organisational or departmental level to maximise efficiency. Multiple methods of anonymisation and pseudonymisation include blanking, hashing, replacement lookups, number randomisation, and masking. 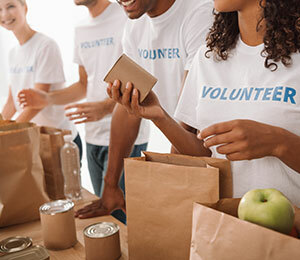 The user-friendly online preview enables users to see the changes applied to their sample data, so they can ensure they are happy with them prior to saving. Apply data retention schedules so that data is automatically culled as per your requirements; these can be set at an overall system level, department level, and by the user on a per message level within the confines of the company’s overarching data retention policy, in line with the GDPR requirements. To help prevent the common data breach of sending personal data to the incorrect recipients, this feature is designed to alert the user prior to sending if the combination of file and recipient is not typical based on their usage. Ability to instantly retract a message and have immediate visibility over who has viewed and/or downloaded the file before the retraction. For additional security, Wizuda Compliant File Share provides users with the option to select from a list of safe countries within which your data can be downloaded. 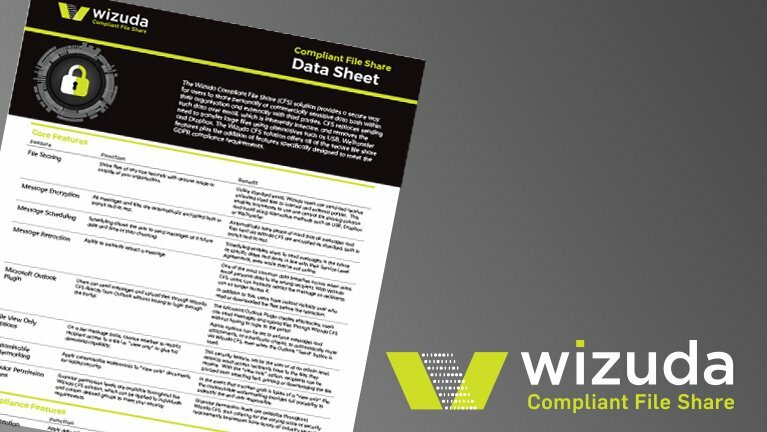 Wizuda’s full audit trail availability simplifies data protection audits, and satisfies the GDPR’s requirement to demonstrate proof of compliant file sharing. Evidence based reporting provides instant visibility over all file sharing operations, including when files were sent, by whom, the sensitivity level, authorisations, retention periods, location data was accessed from, and when the recipients read or downloaded the files. The latter is particularly important for time sensitive delivery of documents, and especially for compliance reporting. 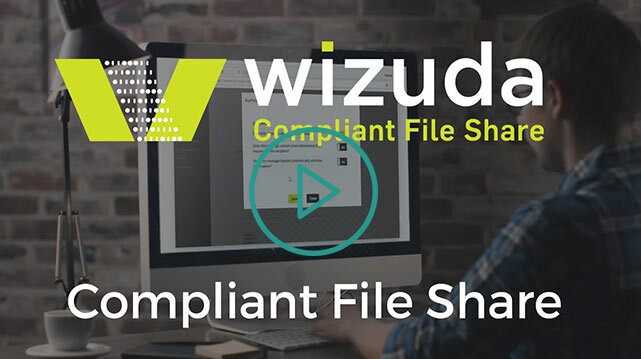 Wizuda’s Compliant File Share solution can be implemented quickly and flexibly, enabling organisations to embed GDPR compliant file sharing practices in advance of the upcoming GDPR. 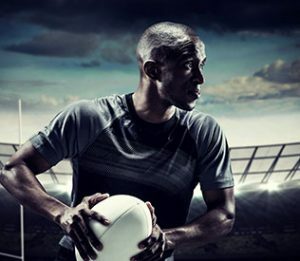 Fill in your details and we will send you everything you need to know about Wizuda CFS.